Dry eye disease is an increasingly common condition, which strongly impair patients' life quality. Recently, a new device employing intense pulsed light, specifically designed for the periocular area, has been shown to improve tear film stability and ocular discomfort symptoms in dry eye disease owing to meibomian gland dysfunction. Vigo, L., Giannaccare, G., Sebastiani, S., Pellegrini, M., Carones, F. Intense Pulsed Light for the Treatment of Dry Eye Owing to Meibomian Gland Dysfunction. J. Vis. Exp. (146), e57811, doi:10.3791/57811 (2019). Dry eye disease (DED) is an increasingly common condition and one of the most common complaints of patients. The vast majority of DED is caused by the so-called "evaporative" subtype, that is mainly caused by meibomian gland dysfunction (MGD). Intense pulsed light (IPL) devices employ high intensity pulses of polychromatic lights with a broad range of wavelength (515-1200 nm). IPL treatment has been utilized for years in the field of dermatology, and then its use was applied to ophthalmology for the treatment of MGD. Recently, a new device employing IPL was specifically designed for the periocular application. This procedure determines the thermal selective coagulation and ablation of superficial blood vessels and telangiectasias of the eyelids skin, reducing the release of inflammatory mediators and tear cytokines levels, and improving meibomian glands outflow. IPL treatment is noninvasive and easy to perform, lasts for only a few minutes and can be conducted in an office setting. In the present study, 19 patients underwent 3 sessions of IPL treatment. After treatment, both mean noninvasive break-up time and lipid layer thickness grade significantly increased, as a result of an improvement of tear film stability and quality, respectively. Conversely, no statistically significant changes were found for meibomian gland loss and tear osmolarity. Furthermore, the vast majority of the treated patients (17/19; 89.5% of the total) perceived an improvement of their ocular discomfort symptoms after IPL treatment. Although IPL treatment provides an improvement of both ocular surface parameters and ocular discomfort symptoms after one cycle of three sessions, regular repeated treatments are usually required to maintain the persistence over the time of its beneficial effects. Dry eye disease (DED) is an increasingly common condition and one of the most common reasons for clinical visits to an eye doctor1. The main symptom complained by patients affected by DED differs from various grades of redness and ocular discomfort to a chronic foreign body sensation, stinging, burning, itching, excessive tearing, pain, recurrent infections and transient visual disturbances2. The impact of DED on patients' quality of life has been compared to that caused by moderate to severe angina or dialysis treatment3, and is associated with a restriction in daily activities and a loss of work productivity4.The recent definition of dry eye disease formulated by the TFOS DEWS II highlights its multifactorial nature, since different complex and heterogeneous alterations play a significant role in the onset and the maintenance of the disease2. The vast majority of dry eye is caused by the so-called "evaporative" subtype that is mainly caused by meibomian gland dysfunction (MGD), a condition that affects up to 70% of the population in particular regions of the world5. Meibomian gland dysfunction is caused by a chronic alteration of the meibomian glands that are located inside the upper and lower eyelids. The disease is characterized by hyperkeratinization of the external duct of the glands and the obstruction of the orifices with insufficient, not functional, production of the external lipid layer of the tear film, resulting in tear instability6,7,8. Currently, several different therapeutic strategies are available aiming at interrupting the vicious spiral of dry eye, and consist mainly of antibiotics, anti-inflammatory drugs, eyelid hygiene, warm compresses and tear substitutes9. However, these therapies are chronic and provide often only partial or short-term relief of symptoms, with subsequent compliance issues. Therefore, novel treatments with high efficacy and tolerability are desirable. In recent years, intense pulsed light (IPL) therapy has been widely used in dermatology for the treatment of different skin diseases such as acne, rosacea, telangiectasias and vascular and pigmented lesion (e.g., hemangiomas, venous malformations, port-wine stains)10. When the light is applied to the skin, it is absorbed by pigmented structures, such as blood cells and teleangectasias, with subsequent heat production that coagulates and destroys the abnormal blood vessels11. Recently, this technique was applied to the ophthalmic field for the treatment of DED owing to MGD. Several mechanisms have been postulated to explain the therapeutic effect of the procedure. Firstly, IPL treatment acts inducing thermal coagulation and selective ablation of superficial blood vessels and telangiectasias of the eyelids skin. Furthermore, the procedure reduces the release of inflammatory mediators and the levels of tear cytokines, which may promote the keratinization of mebomian glands terminal duct12,13. Secondly, the light energy transformed into heat causes the warming and liquefying of meibomian glands secretions, with subsequent melting and improved outflow11,14. 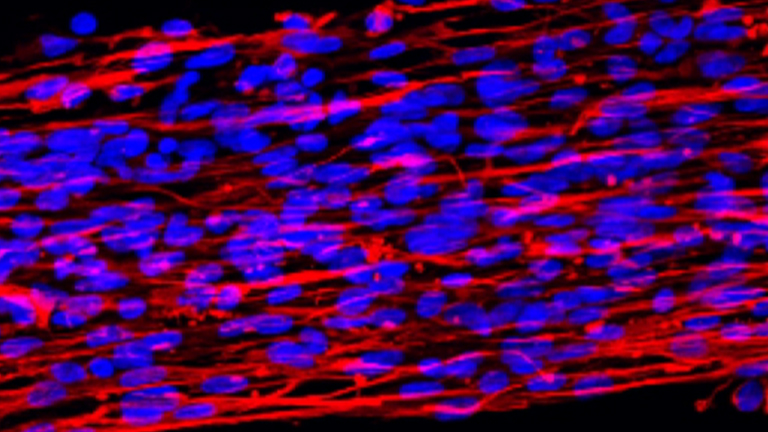 More recently, other mechanisms such as the enhancement in collagen synthesis and connective tissue remodeling, the reduction in skin epithelial cell turnover, and the modulation of cellular inflammatory markers have also been hypothesized15. In this study, we describe the use and the therapeutic effects of a recently commercialized IPL device, developed specifically for the treatment of MGD, in which IPL emission has been "regulated" in a multiple polychromatic train of calibrated and homogenously sequenced pulses. Therefore, the aim of this study is to describe the treatment procedure in detail, in order to spread it to the scientific medical community, giving the opportunity to ophthalmologists to expand their current armamentarium for the treatment of MGD. All participants were provided both verbal and written informed consent before any study procedure. The protocol of the study was carried out in accordance with the Declaration of Helsinki and was approved by the local Institutional Review Board. "Install the "I.C.P." program by SBM Sistemi on the computer connected to the device. Apply the device on the slip lamp. Open the application and insert the patient’s data. Select the exam to be performed in the menu: select NIBUT to measure the noninvasive BUT or Interferometry to evaluate the lipid layer type and thickness grade. Instruct the patient to put the chin and forehead in the correct position on the slit lamp with the device, and place the camera of the device in front of patient’s eye at a correct distance (about 1-2 cm). Ask the patient to blink twice, and then stare without blinking for as long as possible. Keep the instrument still and click the proper button to acquire the video. The system will provide the value of noninvasive BUT (time in s) or LLT (grade from 1 to 7). Note: These exams are completely noninvasive, and it is not necessary to use any topical anesthetic or vital staining for the acquisitions and measurements. Repeat the same procedure for the other eye, if required. Install the “I.C.P.” program by SBM Sistemi on the computer connected to the device. Open the program and insert patient’s data. Select Meibomian gland in the menu of the exams. Gently evert the lower eyelid using a cotton swab. Acquire an infrared image of the inner part of the lower eyelid in order to obtain a good quality image of the meibomian glands, which appear whitish. 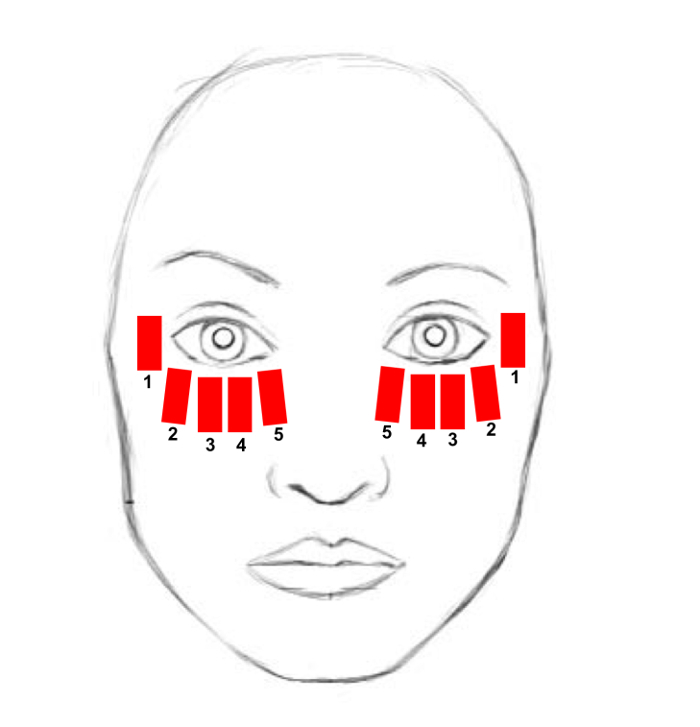 Draw the margins of the lower eyelid area on the touchscreen and click to fill the area. Note: The system automatically calculates the percentage of meibomian gland area in relation the total area of the eyelid. In addition, it is possible to use ImageJ software (National Institute of Health; http://imagej.nih.gov/ij) to analyze the images, and measure the MGL value as the percentage of gland loss in relation to the total tarsal area of the eyelid, as previously described16. Clip the single use test card with a microchip into the top of the pen. The pen confirms when the test card is correctly attached. Gently move down the lateral lower eyelid using a cotton swab to create a little space between the eyeball and the eyelid. Place the tip of the test card in this space to collect a sample of tear fluid (50 nL) from the inferior lateral meniscus of the tear film. The pen confirms when the tear fluid sample has been properly collected. Note: It is recommended to collect tear fluid at the outermost area of the eyelid to minimize the risk of corneal injuries. Dock the pen in the reader unit. The system reader measures and displays on the screen the osmolarity of the tear in mΩ/L. Note: Separate test cards are needed for each eye. Administer the Ocular Surface Disease Index (OSDI) questionnaire. Ask the patient the 12 questions of the OSDI questionnaire, and circle the number in the box that best represents each answer. Note: The patient needs to answer 12 questions and give a score from 0 to 4 to each answer. Calculate the sum of the scores of each question, and the total number of questions answered. Assess the severity of patient’s ocular discomfort symptoms using the specific chart. Determine the patient’s Fitzpatrick skin phototype score basing on the color of the patient’s skin and its reaction to sun exposure, as previously described by Fitzpatrick17. Note: Patient’s Fitzpatrick skin phototype score is necessary to determine the proper treatment parameters for each patient. Seat the patient comfortably in a treatment chair or lying down on a couch in office. Press the start button on the LCD touchscreen of the control unit to activate the device. Select the treatment for MGD by pressing the proper button on the LCD touchscreen. Select the desired treatment energy level using the up and down arrows on the LCD touchscreen and then press on the Tick button to confirm the choice. Six different energy levels can be chosen, ranging from 9 J/cm2 to 13 J/cm2. Note: Treatment energy level is determined basing on the Fitzpatrick skin phototype grading scale from I to V (grade VI is not suitable for IPL treatment). Darker skins need lower energy levels. Validate each of the six safety features by pressing the six icon-buttons one by one and then press the Tick button to confirm that the procedure is performed in total safety. Note: A summary with all the selections made will be displayed on the LCD touchscreen. Press the Tick button to start the device and wait a few seconds until the device is ready for the treatment. Put the eyewear or the eye mask on the patient’s eyes in order to protect eyes from the emitted therapeutic lights. Wear safety glasses to protect the eyes from the emitted light (200-1400 nm). Apply a thick layer of optical gel over the skin under the lower eyelid, from the edge of the nose up to the temple, in order to conduct the light and help to spread the energy homogeneously. Note: The gel layer should be at least 1 cm thick. Take the device handpiece from the central unit and gently push its head in direct contact with the skin of the area to be treated. Press the Start button over the handpiece to emit a single treating IPL pulse. Note: The upper eyelids are not treated directly because of the risk of light penetration through the eyelid with possible light absorption and subsequent structural damage and inflammation of the intraocular pigmented structures (i.e., iris tissue, ciliary body, uveal tissues). Remove gently the optical gel from the treated skin area. Place a warm compress over the eyelids of both eyes for 2-3 min. Note: The total time session lasts only few minutes (about 10 min). Based on the physician’s choice, the meibomian gland of the lower eyelid of both eyes could be manually expressed after IPL treatment using expressor forceps or two cotton swabs. Prescribe topical steroid eye drops 2 times per day for the following 10 days after the first session of IPL. Note: Patients are encouraged to continue warm compresses and topical lubricants use at least twice daily during the treatment period. Repeat IPL treatment after 15 and 45 days to complete the starting treatment protocol. Note: The standard protocol consists of 3 sessions at day 0, day 15 and day 45. Another additional optional session could be performed at day 75, based on the physician and the patient’s preferences. Repeated treatments could be necessary at regular follow-up to maintain the efficacy after the 3 initial sessions (loading-phase), depending on the single clinical case. Examine carefully the patient’ eyes and eyelids at the slit lamp. Repeat noninvasive BUT, LLT, meibography and tear osmolarity to evaluate the treatment efficacy. Administer the OSDI questionnaire to the patient to evaluate the patient’s symptoms. Ask the patient whether he perceived improvements from his baseline ocular discomfort symptoms according to a 5-grade scale: none = 0, trace = 1, mild = 2, moderate = 3, high = 4. Note: It is recommended to wait at least 15 days after the third session before evaluating the clinical results obtained with the procedure. Nineteen patients (7 males and 12 females, mean age 39.3 ± 7.0 years) (mean ± standard deviation) underwent IPL treatment between September 2016 and June 2017. 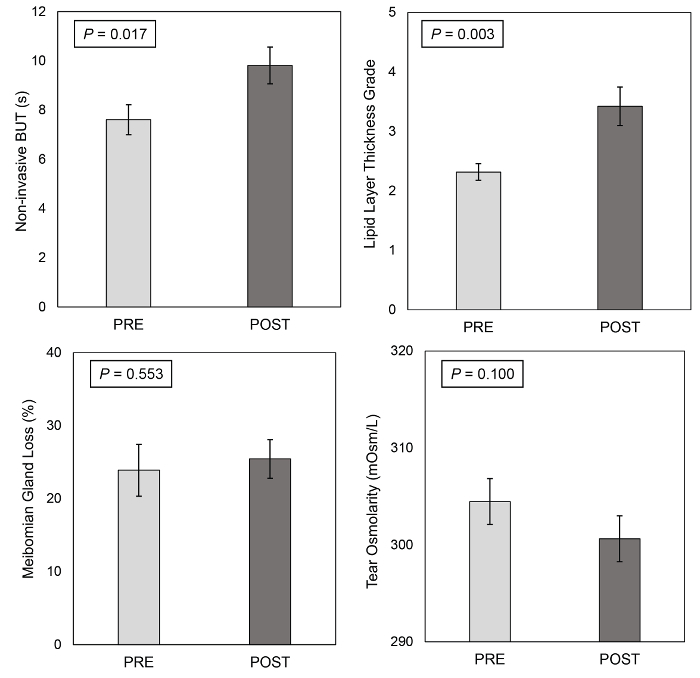 Fifteen days after the third IPL treatment session, noninvasive BUT significantly increased from 7.6 ± 0.6 s to 9.8 ± 0.7 s (mean ± standard error of the mean) (p = 0.017), and LLT grade significantly improved from 2.3 ± 0.1 to 3.4 ± 0.3 (p = 0.003). No statistically significant changes were found for MGL and tear osmolarity (23.9 ± 3.6% vs 25.4 ± 2.6% and 304.5 ± 2.4 mΩ/L vs 300.6 ± 2.4 mΩ/L, respectively; always p>0.05) (Figure 2). In addition, mean OSDI score did not differ significantly before and after the last treatment session (p>0.05). Seventeen patients (89.5% of the total) showed an improvement of ocular discomfort symptoms after the treatment (mean grade 2.0 ± 1.2 out of 4). 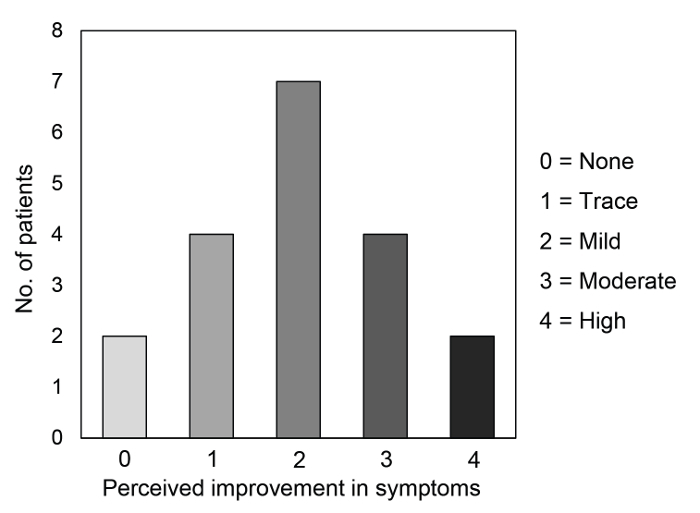 Figure 3 shows the distribution of patients' perceived improvement in symptoms according to the 5-grade scale. The perceived improvement in symptoms was significantly correlated with the improvement of LLT after the treatment (r = 0.476, p = 0.039). Figure 1. Treatment area. The treatment area includes the lower eyelid, from the inner to the lateral canthus, the cheekbone and the temporal zone. 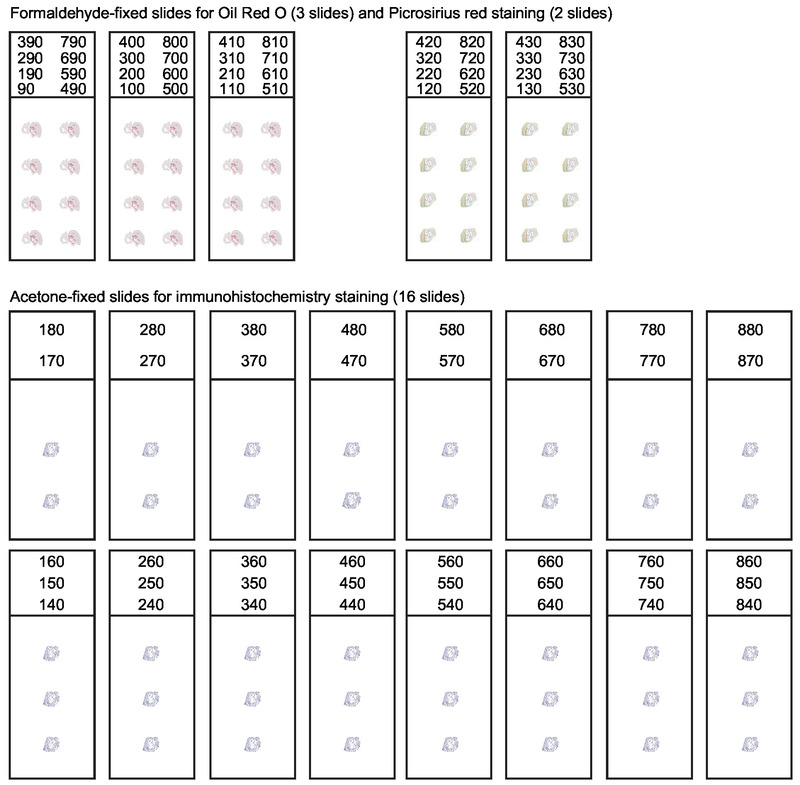 Each red rectangle schematically represents the site of a single IPL pulse application. The numbers indicate the sequence of IPL pulse applications. Please click here to view a larger version of this figure. Figure 2. Automated ocular surface workup before and after the treatment. Noninvasive BUT, lipid layer thickness (LLT), meibomian gland loss (MGL) and tear osmolarity before and 15 days after the third intense pulsed light treatment session. Error bars represent the standard error of the mean. Please click here to view a larger version of this figure. Figure 3. Patients' perceived improvement in dry eye symptoms after the treatment. The distribution of the patients according to the 5-grade scale about their perceived improvement in symptoms assessed 15 days after the third intense pulsed light treatment session. Please click here to view a larger version of this figure. Intense pulsed light devices employ xenon gas-filled flash lamps to produce non-laser high intensity pulses of polychromatic non-coherent lights in a broad wavelength spectrum, from visible (515 nm) to infrared (1200 nm)18. The light energy pulse is released by the head of the handpiece by means of a sapphire or quartz block, and so directly applied onto the skin surface. The mechanism of action of IPL systems is based on the principle of selective thermolisis, according to which certain targets, called chromophores, are capable of absorbing and then convert the light into heat energy12. The particular characteristics of IPL devices make them capable of the simultaneous emission of different wavelengths lights (green, yellow, red and infrared), which allow to target at the same time the two main chromophores present in human skin, namely hemoglobin and melanin14,18. Intense pulsed light treatment has been utilized for years in the field of dermatology, and recently, its use was translated to ophthalmology for the treatment of MGD, as a result of the improvement of dry eye symptoms in patients who underwent IPL treatment for facial rosacea19. We describe the use and the therapeutic effects of a recently commercialized IPL device that was developed specifically for the treatment of MGD. In this device, IPL emission have been "regulated" in a multiple polychromatic train of calibrated and homogenously sequenced pulses. To date, previous studies reported some improvements in terms of lid margin features (e.g., lid thickening and vascularity, telangiectasias, the number of plugged glands) and the secretion quality and expressibility of the meibomian glands after IPL treatment20,21,22,23,24. However, these measures are subjective, and prone to observer bias due to a low degree of standardization. Conversely, in order to overcome these drawbacks and improve the objectivity of the data, we used an automated quantitative analysis of ocular surface to evaluate the dry eye disease course after IPL treatment 25,26. In our patients, noninvasive BUT significantly increased after IPL treatment, as previously reported by other research groups11,20,21,22,23,27, as a result of an improvement of tear film stability and a reduction in the tear evaporation rate. In addition, we found a significant increase of the tear film characteristics and the quality measured by LLT, in agreement with Craig, et al.27. No significant changes were found for the tear osmolarity after IPL treatment, in agreement with other studies21,23,27. Although the recent TFOS DEWS II identified evaporation-induced tear hyperosmolarity as the core mechanism of dry eye disease8, MGD alone, without other ocular surface abnormalities, perhaps may not be sufficient to alter this parameter, particularly in milder or early stages of the disease. In fact, it should be highlighted that in our study, as well as in other MGD populations, tear osmolarity values were within the normal range21,26,28,29. Furthermore, the area of MGL did not change after IPL treatment in our patients. Conversely, the only previous study, which evaluated this parameter by noncontact infrared meibography, reported a 5% decrease of MGL after IPL treatment, suggesting a possible effect of this therapy upon meibomian gland parenchima30. We investigated the patients' subjective ocular discomfort by administering the OSDI questionnaire and a five-grade scale specifically focused on the patients' perceived improvement in symptoms after the treatment. Despite the lack of a significant decrease of OSDI score after IPL, the vast majority of patients reported an overall improvement of ocular discomfort symptoms, and in about one third of the patients, this improvement was classified as moderate or high. These findings are in agreement with previous studies, which employed both validated questionnaires21,22,23,24,27,31 and specific scales of satisfaction11,20. A careful patient selection is extremely important to obtain the best results from IPL. In fact, the treatment selectively acts on meibomian glands, whose dysfunction is the cause of evaporative DED, the most common subtype of dry eye. However, since DED is a multifactorial condition, the therapeutic approach should be dynamic, aiming at treating the dominating mechanism during the natural course of the disease. Therefore, IPL could be taken into consideration also in mixed forms of dry eye but in combination with other therapeutic options available. IPL treatment provides an improvement of ocular surface parameters and discomfort symptoms. Regular repeated treatments may be required after the 3 starting sessions to maintain the beneficial effects of the procedure over the time. However, there is still no consensus about the time interval among treatments, which conversely should be customized according to the patient's satisfaction and changes of objective parameters. The major limitation of the present study is represented by the lack of a control group. Additionally, the relatively small size of population might hamper the detection of further significance in case of small differences among parameters. In conclusion, IPL for the treatment of patients with dry eye owing to meibomian gland dysfunction improved noninvasive break-up time and lipid layer thickness, as well as subjective symptoms. Schaumberg, D. A., Dana, R., Buring, J. E., Sullivan, D. A. Prevalence of dry eye disease among US men: estimates from the Physicians' Health Studies. Arch Ophthalmol. 127, (6), 763-768 (2009). Craig, J. P., et al. TFOS DEWS II Definition and Classification Report. Ocul Surf. 15, (3), 276-283 (2017). Buchholz, P., et al. Utility assessment to measure the impact of dry eye disease. Ocul Surf. 4, (3), 155-161 (2006). Uchino, M., et al. Dry eye disease and work productivity loss in visual display users: the Osaka study. Am J Ophthalmol. 157, (2), 294-300 (2014). Schaumberg, D. A., Nichols, J. J., Papas, E. B., Tong, L., Uchino, M., Nichols, K. K. The international workshop on meibomian gland dysfunction: report of the subcommittee on the epidemiology of, and associated risk factors for, MGD. Invest Ophthalmol Vis Sci. 52, (4), 1994-2005 (1994). Baudouin, C., et al. Revisiting the vicious circle of dry eye disease: a focus on the pathophysiology of meibomian gland dysfunction. Br J Ophthalmol. 100, (3), 300-306 (2016). Knop, E., Knop, N., Millar, T., Obata, H., Sullivan, D. A. The international workshop on meibomian gland dysfunction: report of the subcommittee on anatomy, physiology, and pathophysiology of the meibomian gland. Invest Ophthalmol Vis Sci. 52, (4), 1938-1978 (1938). Bron, A. J., et al. TFOS DEWS II pathophysiology report. Ocul Surf. 15, (3), 438-510 (2017). Qiao, J., Yan, X. Emerging treatment options for meibomian gland dysfunction. Clin Ophthalmol. 7, 1797-1803 (2013). Papageorgiou, P., Clayton, W., Norwood, S., Chopra, S., Rustin, M. Treatment of rosacea with intense pulsed light: significant improvement and long-lasting results. Br J Dermatol. 159, (3), 628-632 (2008). Toyos, R., McGill, W., Briscoe, D. Intense pulsed light treatment for dry eye disease due to meibomian gland dysfunction; a 3-year retrospective study. Photomed Laser Surg. 33, (1), 41-46 (2015). Vora, G. K., Gupta, P. K. Intense pulsed light therapy for the treatment of evaporative dry eye disease. Curr Opin Ophthalmol. 26, (4), 314-318 (2015). Liu, R., et al. Analysis of Cytokine Levels in Tears and Clinical Correlations After Intense Pulsed Light Treating Meibomian Gland Dysfunction. Am J Ophthalmol. 183, 81-90 (2017). Goldberg, D. J. Current Trends in Intense Pulsed Light. J Clin Aesthet Dermatol. 5, (6), 45-53 (2012). Dell, S. J. Intense pulsed light for evaporative dry eye disease. Clin Ophthalmol. 11, 1167-1173 (2017). Pult, H., Riede-Pult, B. H. Non-contact meibography: keep it simple but effective. Cont Lens Anterior Eye. 35, (2), 77-80 (2012). Fitzpatrick, T. B. The validity and practicality of sun-reactive skin types I through VI. Arch Dermatol. 124, (6), 869-871 (1988). Raulin, C., Greve, B., Grema, H. IPL technology: a review. Lasers Surg Med. 32, (2), 78-87 (2003). Toyos, R., Buffa, C. M., Youngerman, S. Case report: Dry-eye symptoms improve with intense pulsed light treatment. Eye World News Magazine. (2005). Jiang, X., et al. Evaluation of the Safety and Effectiveness of Intense Pulsed Light in the Treatment of Meibomian Gland Dysfunction. J Ophthalmol. (2016). Albietz, J. M., Schmid, K. L. Intense pulsed light treatment and meibomian gland expression for moderate to advanced meibomian gland dysfunction. Clin Exp Optom. 101, (1), 23-33 (2018). Gupta, P. K., Vora, G. K., Matossian, C., Kim, M., Stinnett, S. Outcomes of intense pulsed light therapy for treatment of evaporative dry eye disease. Can J Ophthalmol. 51, (4), 249-253 (2016). Dell, S. J., Gaster, R. N., Barbarino, S. C., Cunningham, D. N. Prospective evaluation of intense pulsed light and meibomian gland expression efficacy on relieving signs and symptoms of dry eye disease due to meibomian gland dysfunction. Clin Ophthalmol. 11, 817-827 (2017). Vegunta, S., Patel, D., Shen, J. F. Combination Therapy of Intense Pulsed Light Therapy and Meibomian Gland Expression (IPL/MGX) Can Improve Dry Eye Symptoms and Meibomian Gland Function in Patients With Refractory Dry Eye: A Retrospective Analysis. Cornea. 35, (3), 318-322 (2016). Roy, N. S., Wei, Y., Kuklinski, E., Asbell, P. A. The Growing Need for Validated Biomarkers and Endpoints for Dry Eye Clinical Research. Invest Ophthalmol Vis Sci. 58, (6), BIO1-BIO19 (2016). Giannaccare, G., Vigo, L., Pellegrini, M., Sebastiani, S., Carones, F. Ocular Surface Workup With Automated Noninvasive Measurements for the Diagnosis of Meibomian Gland Dysfunction. Cornea. Epub ahead of print (2018). Craig, J. P., Chen, Y. H., Turnbull, P. R. Prospective trial of intense pulsed light for the treatment of meibomian gland dysfunction. Invest Ophthalmol Vis Sci. 56, (3), 1965-1970 (1965). Meadows, J. F., Ramamoorthy, P., Nichols, J. J., Nichols, K. K. Development of the 4-3-2-1 meibum expressibility scale. Eye Contact Lens. 38, (2), 86-92 (2012). Finis, D., Hayajneh, J., König, C., Borrelli, M., Schrader, S., Geerling, G. Evaluation of an automated thermodynamic treatment (LipiFlow®) system for meibomian gland dysfunction: a prospective, randomized, observer-masked trial. Ocul Surf. 12, (2), 146-154 (2014). Yin, Y., Liu, N., Gong, L., Song, N. Changes in the Meibomian Gland After Exposure to Intense Pulsed Light in Meibomian Gland Dysfunction (MGD) Patients. Curr Eye Res. 43, (3), 308-313 (2018). Guilloto Caballero, S., García Madrona, J. L., Colmenero Reina, E. Effect of pulsed laser light in patients with dry eye syndrome. Arch Soc Esp Oftalmol. 92, (11), 509-515 (2017).